The Star of India, a Phantom II Rolls-Royce, is currently the Star of Toronto. That’s how they Rolled in Rajkot. 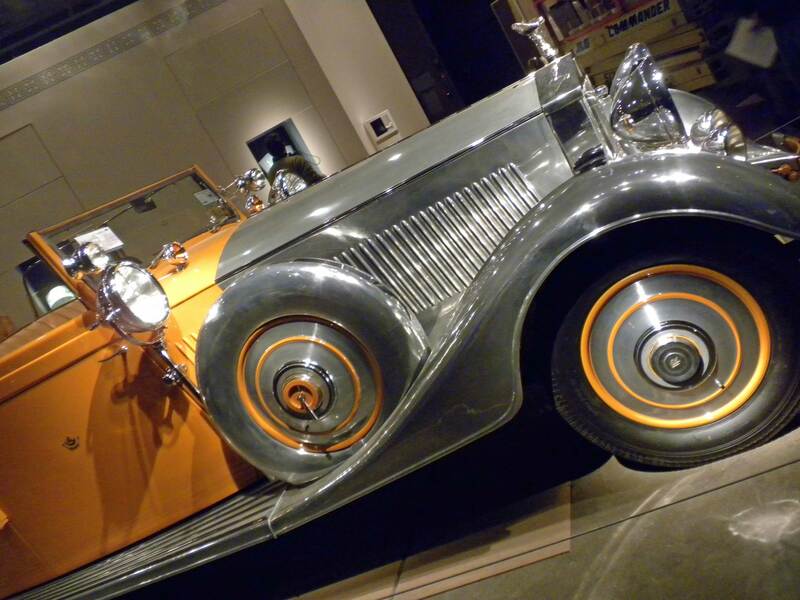 The Royce was the choice for a regal’s roadster. Western luxury was no match for the cash and cachet of the courtly cluster. If it wasn’t a bespoke RR, it wasn’t up to Maharaja muster. ‘Tis true, my dears. 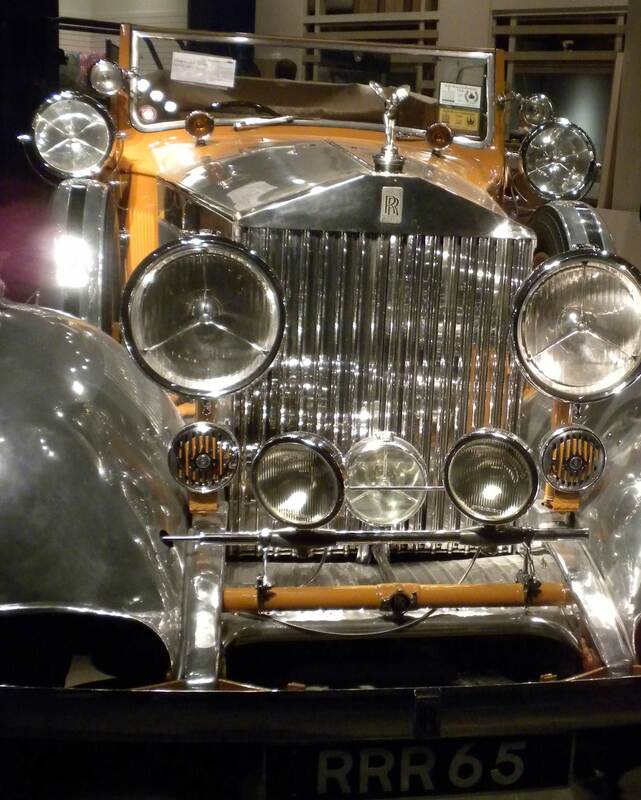 Those maharajas loved their motor vehicles, namely Rolls-Royce Motor Cars. 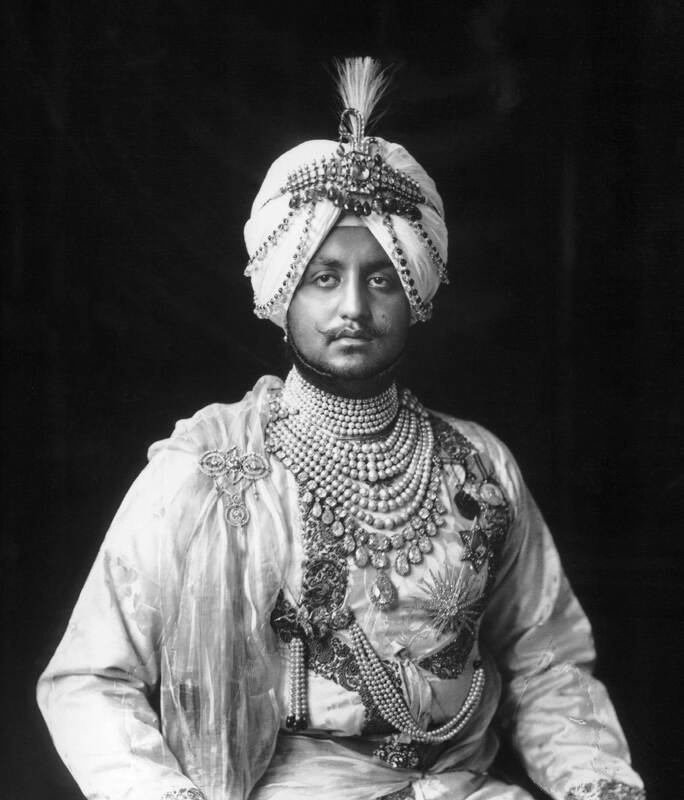 One of them – named after a rather large, 563-carat star sapphire – is currently on display at the AGO for the Maharaja exhibition, opening to the public on November 20th. I got a sneak preview of the car a few days prior to attending last night’s launch gala. Shine on – what looks like pure silver is actually aluminum with a silver patina. The Star of India, the second most expensive car in the world, recently sold at auction for €644K. In a coup not managed by the regal V&A Museum at the start of this safar of splendour known as the Maharaja exhibition, the AGO secured a prestigious, albeit temporary, parking spot for it inside the Gehry-fied gallery walls. 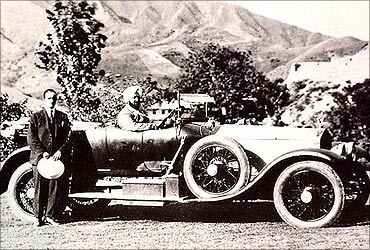 The car, belonging to His Highness Dharmendrasinhji Lakhajiraj, the Thakore Sahib of Rajkot, has moving headlights controlled by the steering wheel – unheard of at the time of its creation in 1934. It also has two small lights that flashed orange (naturally, to match), indicating that the road should be cleared for its royal passenger. It is an all-weather convertible (another new concept at the time), with a retractable roof. The coachwork was made by Thrupp & Maberly. But surely, no rain fell on those regals – and their bejewelled turbans! Customized vehicles were de rigueur for these drivers and their lifestyles, which in many cases included a day or few out hunting. 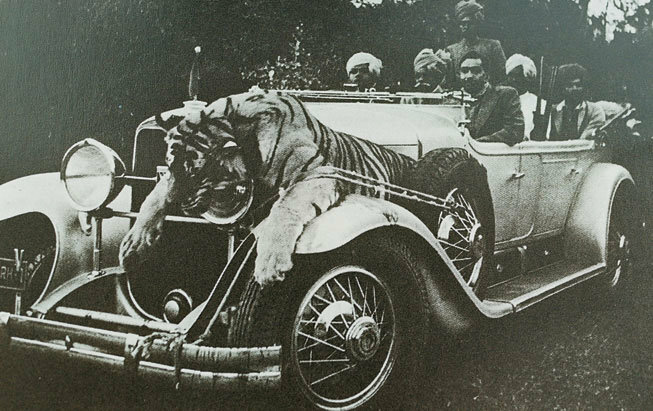 The Maharaja of Nandagoon opted for a steering wheel made of elephant tusks, while the Maharaja of Bharatpur outfitted his for tiger hunting – complete with searchlights and running boards for the hunters. The ultimate luxury, at a cost to us all. Sacrilege. The Maharaja of Narsingarh. 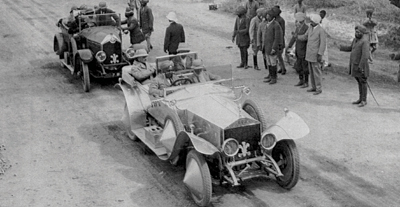 1919 Rolls-Royce Silver Ghost, owned by Maharaja Bhupinder Singh, of Patiala. Everyone’s favourite Maharaja – Bhupinder Singh of Patiala. Be-dazzling, no? 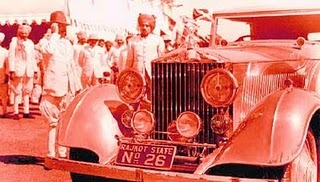 As an aside, the Maharaja of Patiala didn’t have a Rolls or two – he had a fleet! 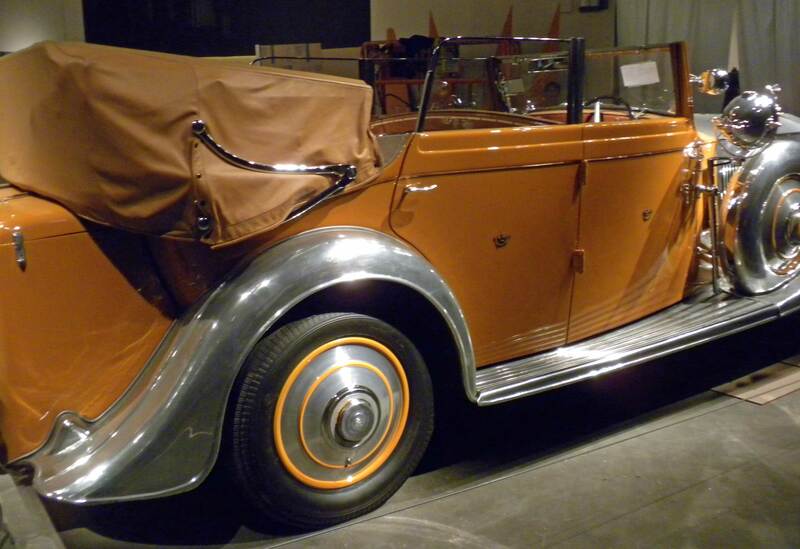 Being such a loyal customer, he was given first choice of the Rolls-Royce Twenty when it was introduced. Like a box of chocolates (or ras gullas) you can never have just one. Part of his colourful history includes a falling out with Rolls-Royce in the 1930s, when they wouldn’t accept any more orders from him. He then commanded his entire fleet of RRs to haul garbage in Patiala City. The company finally relented to prevent their brand from ahem, being soiled. I wonder if HRH used them after they were cleaned? 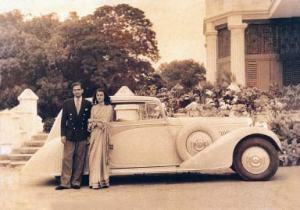 One of my style icons, Gayatri Devi with her Maharaja + motor vehicle. 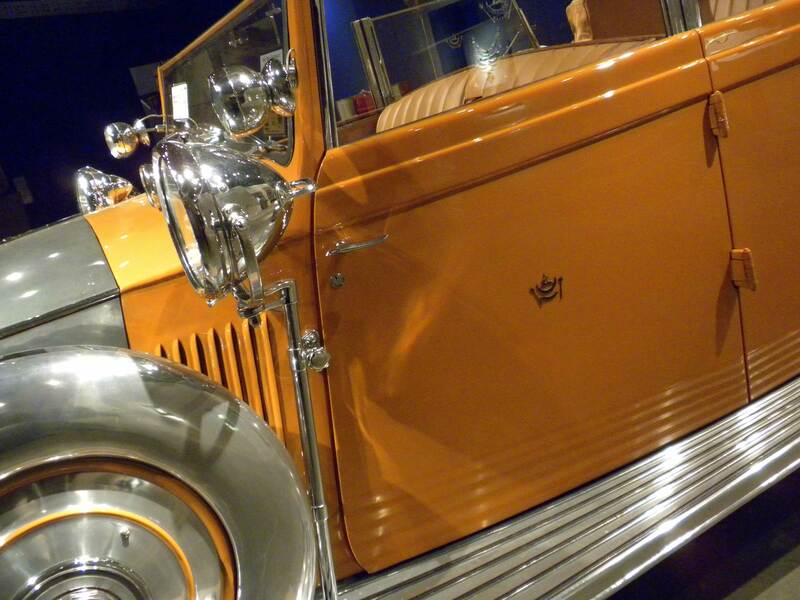 For this Rolls, the Maharaja of Rajkot, wanted the colour to be saffron ochre, a symbol of purity. 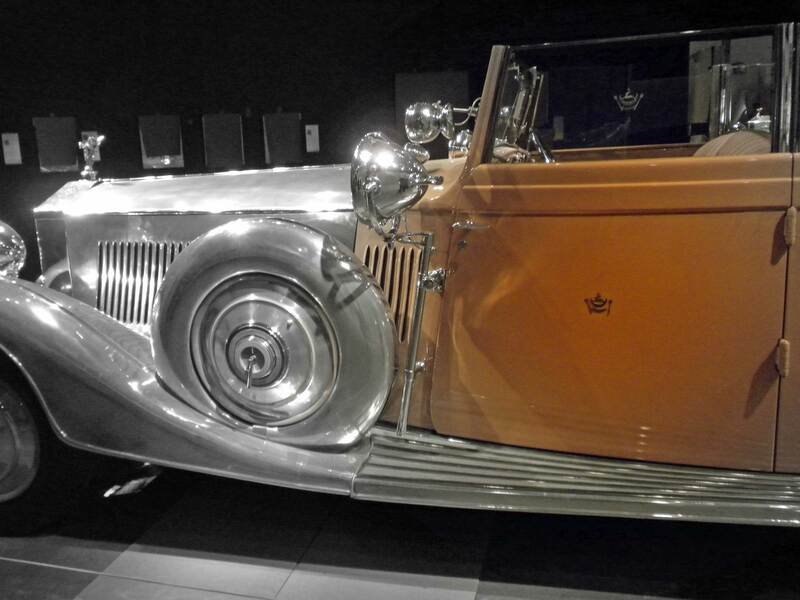 He was replacing the 20-year old, 1909 Barker-bodied Silver Ghost open-drive landaulet inherited from his father. Personally, I think it looks more haldi (turmeric), but then again, who am I to question the majestic set? It may not have been in vogue at the time, but I am guessing it started a trend. Love the saffron rim accents. The Rajkot emblem – because the RR hood ornament wasn’t enough. 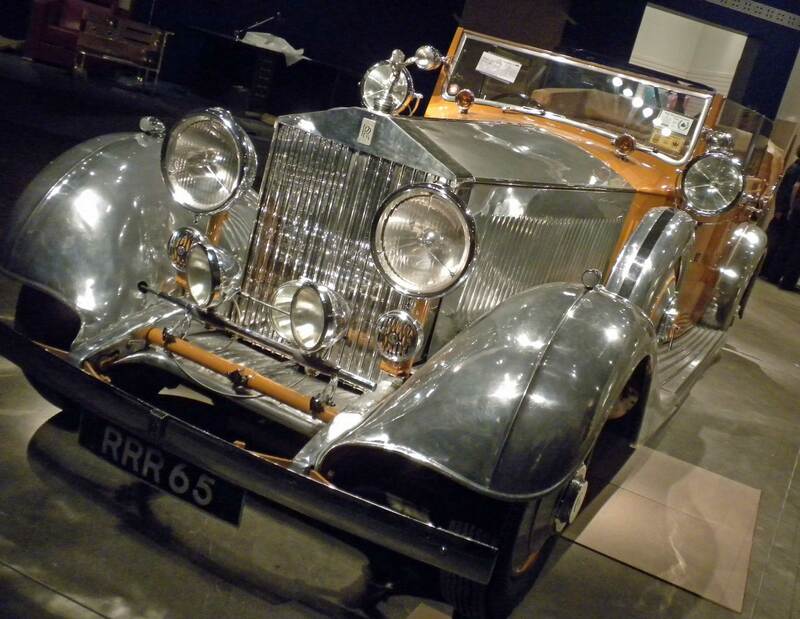 The Rolls will finally return to the Motherland, originally leaving Rajkot in 1965 and travelling throughout Europe, once the exhibition concludes in April, 2011. Be sure to see it before it jets off, back to the Jadegas. From a regal past to a colourful present – history on wheels. With files from RM Auctions and Haema Sivanessan, Special Project Assistant at the AGO. Historic images courtesy of (in order):World Amazing Records, Nitroexpress.com, How Stuff Works, Wikipedia, Rediff and indiannetzone.com. All AGO photos by Yours Truly. And the Rajkot Rhyme? It’s all mine.